In 2006 it was estimated by Nevada officials that over 40,000 people were using Methamphetamine at the time across the state. The drug is scarcely created in the state; it is mainly imported from Mexican and californian "super labs". "Super labs" create over 10 pounds of Crystal Meth during a 24 hour time period; however officials say that it is becoming more diluted for sale all the time. Purity levels of the drug have gone from 99 percent pure Methamphetamine to the 50 percent range relatively quickly. A senator in the state had recently helped to provide 1.8 million dollars in grant money to hire new deputies and school police, although President Bush took the program away. From 1996 to year 2005 75 percent more people were seeking treatment for Methamphetamine in state funded programs. There are many different reasons why people begin to use Crystal Meth in Nevada. Some people use it to become thinner, particularly women who believe that meth is a weight loss supplement. Some people with lower self esteem like the confident boost that Crystal Meth gives them when they are high. Crystal Meth in the state of Nevada is especially high in the city of Las Vegas due to the heavy amount of tourism and the proximity to Arizona, California and Mexico, three of the largest supplying states of meth through illegal activity. 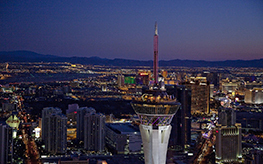 There are a large amount of Crystal Meth Treatment and Rehab Centers in Nevada as well. 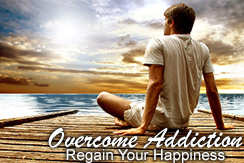 Freedom Model's Offers the only Non Treatment Solution to Crystal Meth Addiction. Please call if your are seeking a program in Nevada to find out how Freedom Model's can help you. You might have come to this page because you or someone close to you is struggling with Crystal Meth Addiction. Maybe Crystal Meth is not the only substance they are choosing to use and the combination of them is causing great pain to you or to your immediate loved ones. Please understand that there is a better life waiting for you. You may have attended a Treatment Center for Crystal Meth in Nevada and are still have difficulties leaving this life style behind. Please know that we understand. Freedom Model has been helping people in this situation for over two decades and we have created a model that will give you the freedom to choose which path you want to take. The responsibility lies within you, you are not dependent on Crystal Meth to lead a happy life, but in your ability to take responsibility of your own actions. So if you are seeking a Crystal Meth Rehab or Treatment in Nevada please call Freedom Model to learn how our Alternative Programs can give you an opportunity to create lasting change.